Pink Thing of The Day: Pink Designer Hand Grenade! 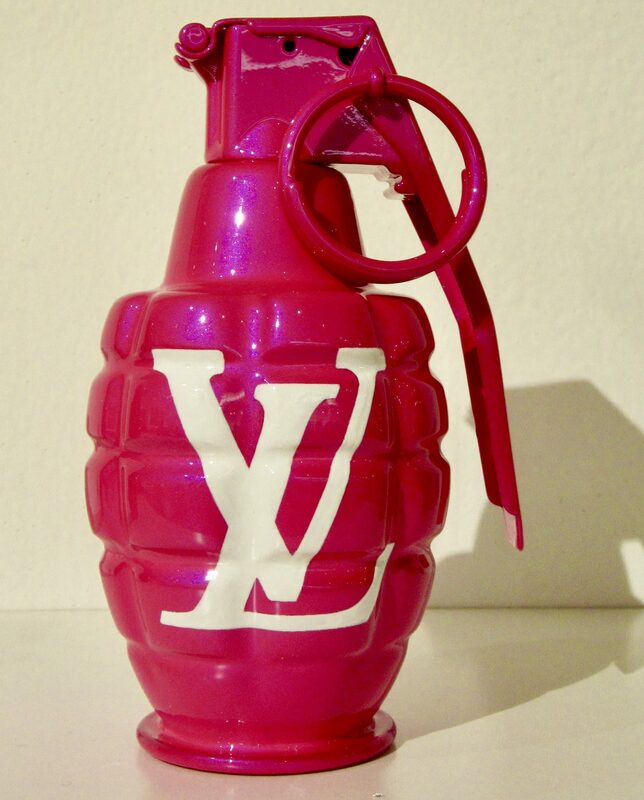 This Hot Pink Louis Vuitton-branded Hand Grenade is the work of artist Emil Armendariz (AKA Mr. Debonair) who became renowned in the world of contemporary art by mixing luxury brands with firearms and grenades to create unique works of art. Mr. Debonair’s particular mix of war and high fashion creates unique works art in his old-school, handcrafted artistic style. I mean, check out that high-gloss paint job! Each design is numbered and very limited, and every single grenade is hand painted and signed by the artist. This beauty was spotted at the Fall 2018 Affordable Art Fair in NYC and is priced to own at just $1,200 from the Evan Lurie Gallary of Carmel, Indiana!